Located near the intersection of St Andrews Rd and Bush River Rd, Extra Space Storage serves Columbia residents near Seven Oaks, St. Andrews, Irmo, West Columbia, and more. 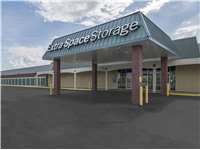 Locals will recognize our facility in Seven Oaks Shopping Center near Big Lots and AutoZone. 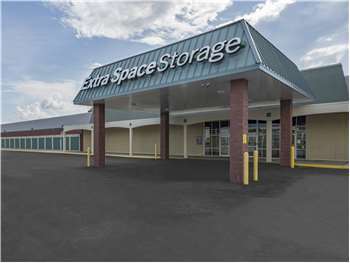 With a variety of storage units, climate-controlled storage, vehicle storage, and exceptional security, Extra Space Storage on St Andrews Rd is the convenient storage solution for you in Columbia near Seven Oaks! Units at our Columbia storage facility are available as small as 4x5 and as large as 12x50 with features like indoor access, drive-up access, and more. We have the perfect storage space for your unique needs! At Extra Space Storage, we take security seriously. That's why our St Andrews Rd location is equipped with security measures like an on-site manager, 24-hour video surveillance, electronic gate access, security access to your floor only. We care about providing our customers with peace of mind! I am very unhappy with how many times my unit has increased in cost. This is far too expensive and there are always too many bugs, dead and alive. The bathrooms for some reason always look gross, which doesn't make sense because I don't see them being used a lot. I don't know if anyone mops. I am unpleased for the amount of money I pay. This was my first experience with a storage facility and it was a very good one. Very friendly and courteous staff. The facility is VERY clean and well kept. It was nice to be able to have monthly charges deducted from my credit card so that I wouldn't forget. Thanks!! I was not only unable to get into my unit during a very stressful moving period for days on end, but I was then called and told I moved into the wrong unit when they assigned a unit way smaller than I had paid for. I moved into the exact 10x10 I was shown and paid for so to get a call after I already was upset bc I had to wait for other renters to come so I could even get in the building, they then called me over and over again blaming me that someone else couldn't move into MY UNIT!!! I do NOT recommend using this company. They haven't even offered me a discount for all I've been through. Bush River Road and St. Andrews Road. Big Lots in Seven Oaks Shopping Center. 26 East to Exit 104 for Piney Grove Road West. Right on St Andrews Road to Seven Oaks Shopping Center on the left. Big Lots in Shopping center. 26 West to Exit 106 A for St. Andrews West. Continue on St Andrews Road to Bush River Road. Wells Fargo on the corner. Make a Left at the light. Continue about 1/4 mile make a right just past the Grease Monkey into Seven Oaks Shopping Center. Extra Space is on the Left. Take Exit # 63 Bush River Road. Make a Left off exit ramp to Bush River Rd. Continue on Bush River Rd and make a Left at 5th Stop Light on to St. Andrews Rd. Continue on St. Andrews Rd and make a Left at 3rd Stop Light on to Old Bush River Rd. ( Wells Fargo at light) Continue about 1/4 mile make a Right just past the Grease Monkey into the Seven Oaks shopping Center. Extra Space will be on the left. Take Exit # 63 Bush River Rd. Make a Right off of the exit ramp on to Bush River Rd. Continue on Bush River Rd and make a left at 5th stop Light on to St. Andrews Rd. Continue on St. Andrews Rd and make a Left at 3rd Light. (Wells Fargo on corner) on to Bush River Rd. Continue about 1/4 mile Make a Right just past the Grease Monkey into the Seven Oaks Shopping Center. Extra Space will be on the Left.